Two volumes of classic instrumental hymns that will bolster your faith. Volume 1 includes Just a Closer Walk, Theres Something About That Name, andJesus is All the World to Me.Volume 2 includes Immortal, Invisible, To God be the Glory, and WonderfulWords of Life. 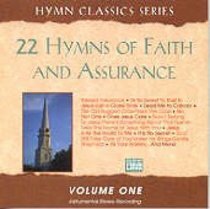 About "22 Hymns of Faith and Assurance Volume 1"